Lucy Quist is set to address a global audience on current issues affecting leadership and governance in the world. She will be addressing these issues during the 2019 McDonald-Currie Lectures organized by the Institute for the Study of International Development, McGill University, Canada. Often, millennials (young people born between 1981 and 1996 by Pew Research) all over the world are described as the growing majority of tech savvy people who are transforming this generation through the power of digital platforms such as social media. She is a one of Ghana’s leading change managers, a respected business leader in Ghana’s telecommunications industry, a trained engineer and a provider of innovative business solutions. Lucy Quist shared her thoughts and experience on how to successfully build and operate businesses in Africa during an interview on BBC News Africa hosted by the BBC’s Akwasi Sarpong. An evening with Lucy Quist is an exclusive and intimate opportunity to meet, network and dine with like-minded African professionals in the diaspora. What an inspiring event! The event in question was the Campaigning Summit Switzerland 2018, and I was there to share my experience on how leaders can campaign internally within their organisations to achieve business success. Business leader and role model, Lucy Quist, shares her story and leadership journey in an interview with Salamander magazine. Lucy shares insights and motivations from her quest to offer an MBA and her move to make impact in Africa through business. Limitless is a campaign under INSEAD’s Gender Initiative. It is part of the school’s effort to ‘create and disseminate knowledge that advances women leaders and optimise their contributions within and beyond their organisations’. Professional credibility helps us build sustainable careers and grow as leaders! Lucy Quist joined hands with the Global Shapers Community in Kumasi to bring another interactive talk session to Kumasi’s vibrant youth. This time ‘Leadership’ was the focus of the discussions. Joined by young professionals and students in Kumasi, Lucy Quist discussed how Africa’s millennials can lead the continent to prosperous outcomes. The Pan-African Weekend is an action-packed three-day event which highlights the achievements and success stories emerging each year from the pan-African diaspora. Lucy Quist joined this year’s event in New York city which was organised to empower, inform, and entertain its audience. The next destination for The Bold New Normal Tour was the Africa Internship Academy, a self-sustaining social enterprise that prepares students and connects leading African employers with diverse qualified talents. Lucy Quist’s interaction, this time focused on building sustainably successful careers by Africa’s millennials in Africa. Lucy Quist has been honoured at the maiden Ghana Legacy Awards, alongside 6 other distinguished Ghanaians, for her extraordinary leadership and impact in Corporate Ghana and for her exceptional ability to transform businesses for growth and positive reputation even in the most challenging situations. Earlier this month Lucy joined the global meeting of telecom leaders at the Mobile World Congress in Barcelona where she got the opportunity to explore emerging technology in the industry and interacted with key stakeholders in the international telecom space. Lucy Quist was recently featured on BBC’s Power Women series as one of the top business women driving transformational change in Africa. Lucy Quist was invited to speaking at the Africa Development and Investment Convention (ADIC) 2016, an annual gathering of seasoned global business leaders and investors, where she called for more strategic partnerships and investment in Africa’s telecommunications sector. “Africa is not poor. Africa has more than enough resources for its people. Our poverty is in our minds. We need to free our minds of the poverty that holds us back. 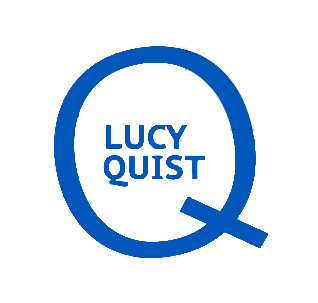 Within a year Lucy has been recognised by several reputable organizations for her transformational and inspirational leadership, her exceptional strategic marketing insights, selfless dedication to growing people and for championing causes that are shaping the lives of young people on the continent. The power of ‘we can’! Africa’s sustainable development can only come from within. Which is why Lucy Quist has been committed to #onlywecan. For most people, the mention of Africa takes their attention to the incredible weather and abundant natural resources. Amazing, but there is a bigger picture, a vision of a better and brighter continent because of its people. Believing and investing in the people of Africa makes them resources beyond those we already see. Lucy Quist came through the SheHiveAccra and laid down nuggets for making it in corporate Ghana. While she highlighted teamwork, leadership skills and personal values.